Founded in Australia in 2005, 2XU is the global leader in sports compression and high performance sports apparel. 2XU compression is designed and tested in consultation with sports scientists and industry experts, and is backed by independent, scientific research by the Australian Institute of Sport and other leading research teams. Present in more than 70 countries worldwide 2XU is the sportswear brand of choice for the world’s best athletes and sports teams. 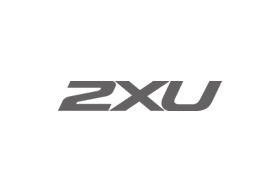 2XU helps athletes of all abilities to train, perform and recover at their peak across sports including running, high-intensity interval training, basketball, football and triathlon.